Edgar Chahine (1874-1947), artist of Armenian origin, lived and worked in Paris during the ’Belle Epoque’ and after. 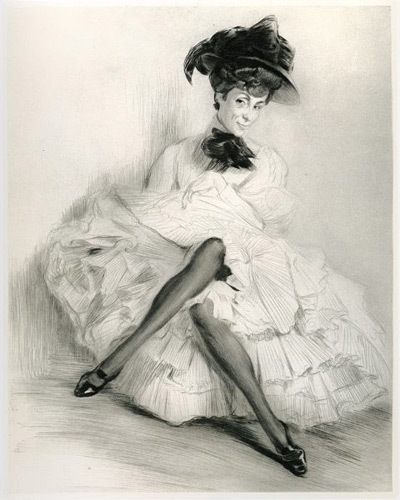 His paintings and etchings give a real insight into Parisian life of the period from portraits of the famous: Anatole France, Paul Verlaine and Huysmans to depictions of dancers from the Moulin Rouge: Jane Avril and performers and spectators at the popular street fairs. Chahine also, like Steinlen, observed and portrayed with great sensivity and realism, the ragpickers,beggars and streetwalkers of the Parisian street at the beginning of the twentieth century.